There’s nothing better than relaxing on the beach or by the pool, under the sun, with a nice cold drink and a good book – right? We can’t wait for our holidays this year, and one of our essential items is the perfect holiday book. Here’s what’s on our Summer reading list this year! Still Me is the third book in the best-selling ‘Me Before You’ series; if you’ve not read the books yet, you might remember the film ‘Me Before You’, released in 2016. The book continues the story of the lovely Louisa as she embarks on more adventures, now in New York. This charming book, with it’s endearing characters is a perfect relaxed read on the beach. If you ask us, Sophie Kinsella’s books are a firm holiday favourite: they’re engaging, fun, easy to read and easy to pick up and put down! Surprise Me is no different. The story follows a happily married couple who are trying to keep their marriage fresh and exciting. With relatable characters, humour that may be a little bit cheesy and an overall engaging message, this is definitely one to pack in your suitcase! If you’re familiar with Louise from her social media channels, you might already know that she’s an author too! Wilde Like Me is her debut novel, and it’s a relatable story about life as a single-mum. Although it tackles a few more serious issues, the overall book is light-hearted, funny, and easy to read. Perfect for Summer! Whether you’re a mum-to-be, a mother already or don’t have children at all, From Mother to Daughter: The Things I’d Tell my Child is a must-read. The honesty of this book is what is most striking, as both Katie and her mum Diane share their parenting stories, fears and tips in celebration of that special mother-daughter bond. Even if you don’t yet have children of your own, this is a stunning read about motherhood and raising happy, independant and confident children. If a charming romance novel is what you’re looking for, The Wedding Date is one for you! The story surrounds an accidentally-formed couple, and follows their relationship as it progresses to something more. Sweet and light-hearted in nature with lovable, relatable characters, this book makes for a great read relaxing by the pool. Hey everyone! Hope you all had a wonderful weekend. • After asking for some recommendations for fluffy, lighthearted reads, THE WEDDING DATE by Jasmine Guillory was the most popular suggestion (thanks @sixminutesforme and @christinastephaniereads !). So yesterday I went out and bought it 🙈 (I know I know, huge #tbrpile in my room and I’m still buying books. I never said I don’t have a problem!). • I’m only a few pages in and this actually seems to be EXACTLY the sort of book I was looking for – it’s a fun, frothy, fluffy, rom-com. It’ll be the perfect palate cleanser, the best antidote to all my school reading (I’m looking at you, A GIRL IS A HALF-FORMED THING!). • What genre have you been craving recently? Who doesn’t love a good thriller? The Wife Between us is one of those books that you just can’t put down. The story follows a woman seemingly obsessed by her replacement as her ex-husband is set to re-marry. With an array of intriguing characters and a maze of twist and turns, this book will have you second-guessing yourself page-after-page. And there’s part of your packing sorted! 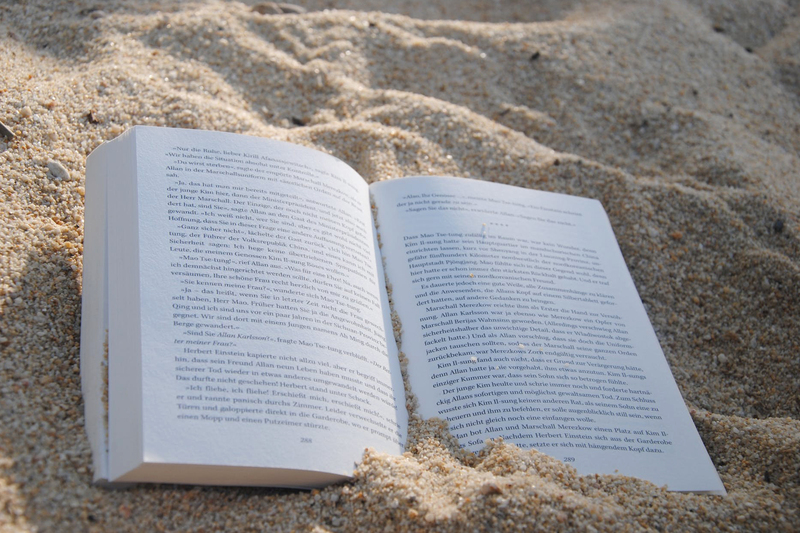 Comment below letting us know what books you’ll be taking on holiday, we’d love to know what you’re loving! If you still need to get the rest of your suitcase ready, have a look at our Holiday Shop for some stunning clothes and accessories perfect for jetting off abroad.